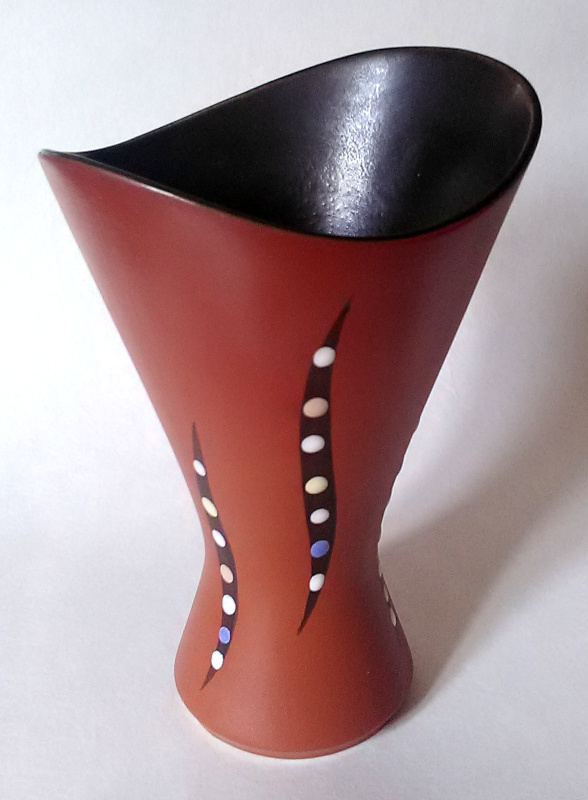 It reminds me of a West German molded vase. 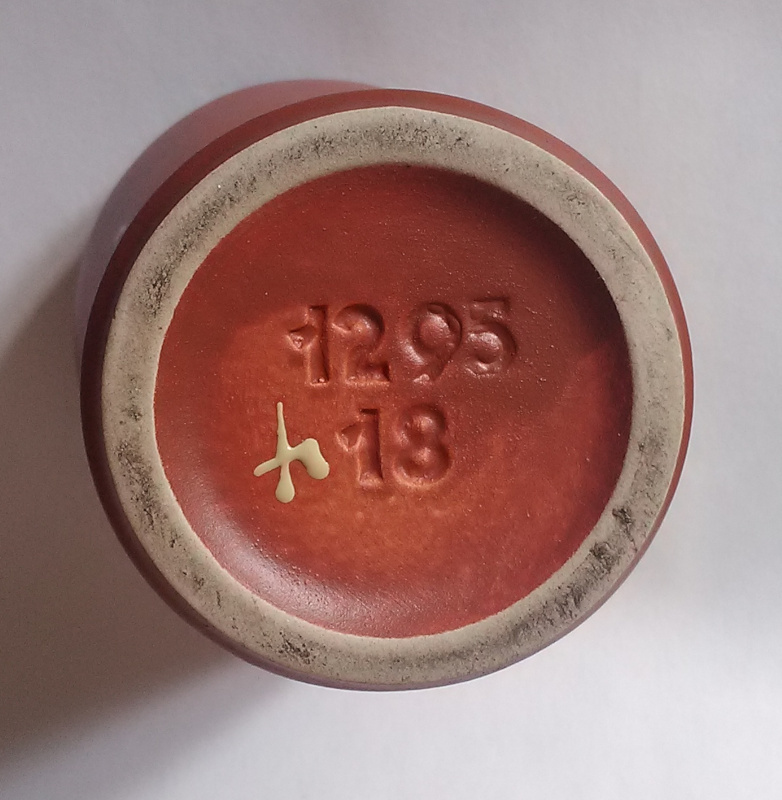 But can anyone help me to recoqnize which factory it might have come from? Jasba? I am sure I have seen this design before ... but, alas, trawling through google images and pinterest have not revealed it! The painted mark seems to be fairly unusual ... but what is it? Is it a 4? Is it a painters mark (I think likely)? It is 7"/18cm high; Widest diameter just Under 5"/12cm. Thanks seandux ... will do ... right now!! Great!! ... 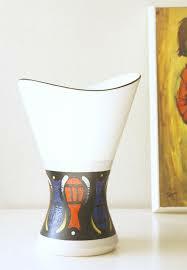 This is the only other image of a German vase with exactly the same shape ... so I reckon this is it! Thanks for the info!! ... thanks! ... wanna buy it? LOL!